SUPERYACHT SPOTTER is dedicated to Superyacht enthusiasts around the globe. You’ve heard of train-spotters and maybe even plane-spotters. Now comes a new innovation in the world of wealth voyeurism, Superyacht Spotter. Some of the wealthy may be a bit bothered by all the attention their Superyachts attract. But if a billionaire builds a 100m Superyacht, he or she can expect (if not want) a little attention. And after all, isn’t one of the most-important responsibilities of great wealth to provide fantasy for the general public? 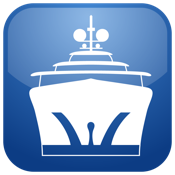 The long awaited Superyacht Spotter App is now here to enjoy…. Happy Spotting!! !